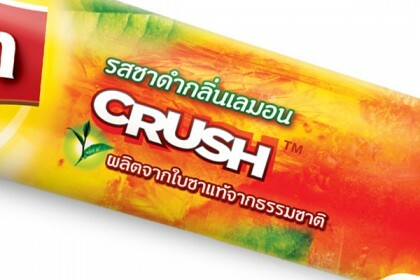 Brand design agency Bluemarlin has designed the packaging for Wall’s Lipton Crush. 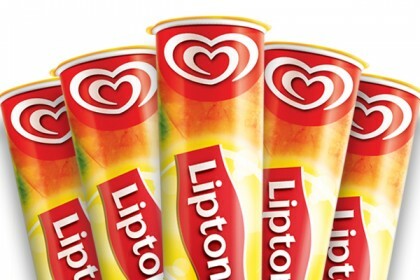 Ice tea is immensely popular throughout South East Asia, with many convenience stores carrying the Lipton brand. 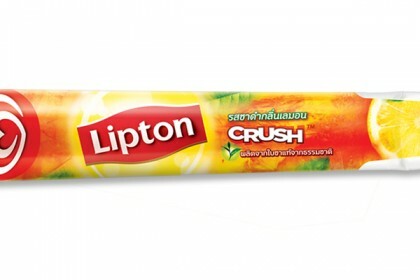 Seeing an opportunity to shake up this established category, Unilever brought together two household names to create an innovative and exciting new way of hydrating: Wall’s Lipton Crush, a freezie tube from Wall’s with all the flavours of Lipton Ice Tea. Bluemarlin was tasked with creating a design solution for the Lipton Crush packaging that integrated the Wall’s and Lipton brands whilst delivering the single-minded message of ‘natural and refreshingly good.’ To accomplish this, the brand needed to embrace a strong, vivacious personality and appear more indulgent than its competition. Bluemarlin’s vibrant and fresh pack design features the bright colours of juicy fruits and fresh tealeaves alongside the two recognisable masterbrand logos. The energetic packaging brings Wall’s and Lipton’s brands into equilibrium and provides appetite appeal for this refreshing new product.